Caroline was born in New Orleans, LA and raised in Bay St Louis, MS. Having lived in Bay St. Louis, Pass Christian, and Gulfport she is knowledgeable of all areas along the Gulf Coast. Caroline loves the Mississippi Gulf Coast, and is proud to call it her home. Caroline attended Louisiana State University and graduated with a Bachelor of Business Administration from the University of Southern Mississippi. She has held a top management role for more than 5 years with GCR LLC, one of the most successful restaurant groups on the Gulf Coast. Her drive and hard work carry over into her real estate career. 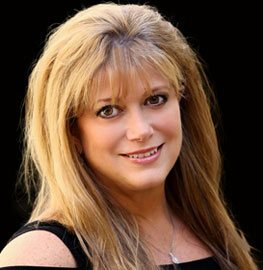 She is passionate about helping you prosper in all of your real estate endeavors. Caroline is skilled in all the latest technological advances of the market. She belongs to the National Association of Realtors, the Mississippi Listing Service, and the Gulf Coast Association of Realtors. Friends and Family are a big part of Caroline’s life. Her Family roots are in New Orleans, LA, but she grew up on the Gulf Coast. Weekly Crab boils with friends and family is the way her mother would get everyone together in the neighborhood, a lifelong tradition she will continue in her life and happily teach others. She has two beautiful God daughters Jacksyn and Chloe, and a puppy named Maddox. Caroline lives in Gulfport, MS with her husband Nicholas, a wonderful, intelligent digital guru. Caroline loves people and enjoys helping others. These traits will benefit her clients, because she truly cares about fulfilling your real estate wishes. Her knowledge, enthusiasm, and customer service are a powerful combination that will serve you well when you choose to engage Caroline to buy or sell in the real estate market. She enjoys shopping the market to find her clients the exact home they have been dreaming of. She is dedicated to making the home buying & selling process as simple and stress free as possible. Caroline is proud to have become a part of Owen & Co., LLC Real Estate with its long family history serving the Real Estate needs of the Mississippi Gulf Coast since 1945. Whether buying or selling real estate, commercial or residential properties, in all cities all along the Gulf Coast, including Gulfport, Biloxi, Ocean Springs, Diamondhead, Bay St. Louis, Waveland, Pass Christian, Long Beach, D'Iberville, Saucier, St. Martin, Vancleave, Kiln, Gautier, Moss Point, Pascagoula and Wiggins, Caroline is ready to dedicate her time to your needs. The professionals at Owen & Co., LLC Real Estate maintain strong knowledge of what’s available in the area and how much properties in the community are selling for. Prices can vary greatly, depending on quality, size and location. Contact Caroline Eagan Hebert 228-323-1603 with Owen & Co., LLC today and tap into her invaluable pool of experience and knowledge.